“Singapore is fast becoming a business city of choice. With excellent business infrastructure, political stability, and close economic ties with many of the world’s leading economies, there has never been better time than now for entrepreneurs to immigrate and form a Singapore company.,” says Rikvin. Eligible applicants must have a minimum three-year track record in entrepreneurial business, with average company revenue of at least S$30 million in the most recent year or per year for the last three years. “The company’s audited financial statements for the last three years will also be required,” advises Rikvin. Corporate managers holding the position of Chairman, CEO, CFO, CTO, etc. who have more than 10 years of experience in a company with annual revenue of at least S$100 million may also apply for GIP. Applicants who meet the criteria are eligible for Singapore Permanent Residence status along with their spouse and children below 21 years of age. Children over 21 years, parents and parents-in-law, while not eligible for PR status, can apply for a renewable five-year Singapore Long Term Visit Pass (LTVP). Singapore has long been accepted as the gateway to Asia for global businesses and an attractive location for regional headquarters. The city-state offers a stable political and financial infrastructure and one of the most competitive corporate tax regimes in the world. 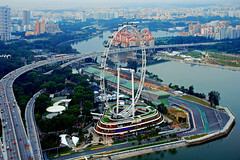 Singapore’s extensive trade links also provide companies with unrivalled connectivity. In addition, Singapore has a number of free trade agreements in Asia as well as with the US, Australia, New Zealand, Jordan, Chile, Panama and members of the European Free Trade Association. However, Singapore has emerged as an attractive destination in Asia for global investors, not just in terms of business and investment but as a destination of choice to call home. Its clean, safe and wholesome environment makes it an attractive base from which to raise children. The city-state has also been voted the best place to live, work and play in Asia. Rikvin offers company incorporation for entrepreneurs worldwide. Establish since 1998, Rikvin specialise in Singapore Company registration, Employment pass, Entrepass and related corporate services. Those wishing to embark on Singapore Global Investor Programme application proceedings can contact Rikvin at http://www.rikvin.com for a quick eligibility evaluation.